The reconciliation in Europe was very successful in the 70 years after the Second World War, especially the Franco-German reconciliation can be considered exemplary. Now Europe needs to reinvent itself in order to meet its domestic and non-European challenges. Growing nationalism worldwide is frightening. Haven't we experienced enough suffering and destruction in the last century, as a result of nationalism? Are the opinion makers and politicians no longer aware of these horrors? Peace, security and prosperity in Europe are not self-evident, but require active participation, not only by politicians but also by “everyday” people and especially by artists. Now is the time to move from a phase of reconciliation to a phase of growing deeper understanding between nations. To gain a deeper understanding of e.g. France, Poland or Russia and their ways of acting, we have to look at our history. Naturally, the wars of the twentieth century were experienced differently by individuals, and they naturally continue to live differently in the collective consciousness of the nations. The First World War has left scars in virtually all German and French families. In addition, he has also left scars in parts of the French countryside. However, in Germany there are none of these "scars in the landscape". In the north and east of France many villages were destroyed during trench warface. 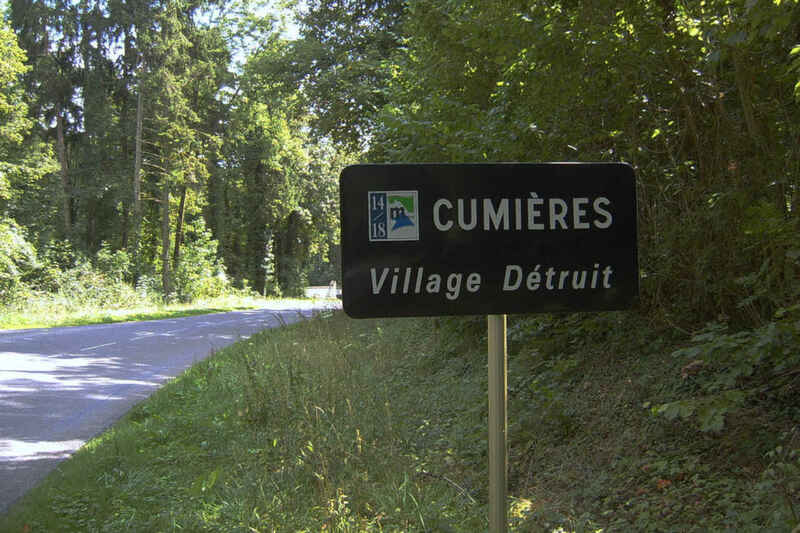 Many of them have not been rebuilt, the areas have been reforested: "Villages détruits" / "Villages disparus". e.g. 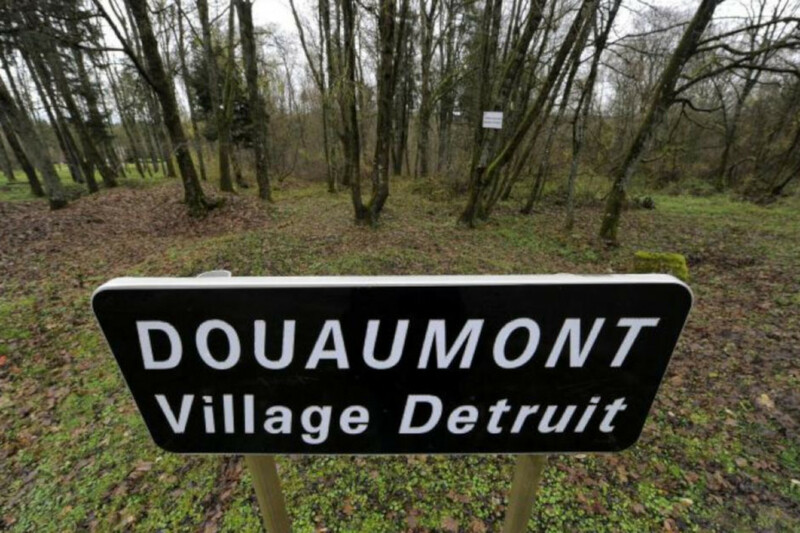 "Place name - Village detruit". The inhabitants of the landscapes drive past it every day. The "Scars in the Landscape" are transferred as an artistic intervention in public space from Northern France to Middle Franconia. For this purpose, signs for "Vanished village" will be placed in 5 villages in Middle Franconia for 4 weeks. These signs are supposed to confuse the viewer, make them curious and generate questions. A QR code on the signs leads to information with answers (project, exhibition, etc. ).